In-display fingerprint scanner is undoubtedly the most awaited tech in the smartphone industry and we have already seen it been widely adopted by the Chinese manufactures like OnePlus and Huawei. Right now the flagship smartphones from both manufacturers the OnePlus 6T and Mate 20 Pro utilizes indisplay scanner tech but those are based on Optical FP scanning. This first generation of in-display fingerprint scanner uses the light from the display itself to basically take information's of your thumb and compare it to the ones stored when you were setting up your fingerprint. This tech is found to be less secure and slower than conventional fingerprint readers but also requires OLED display panel to be implemented effectively. 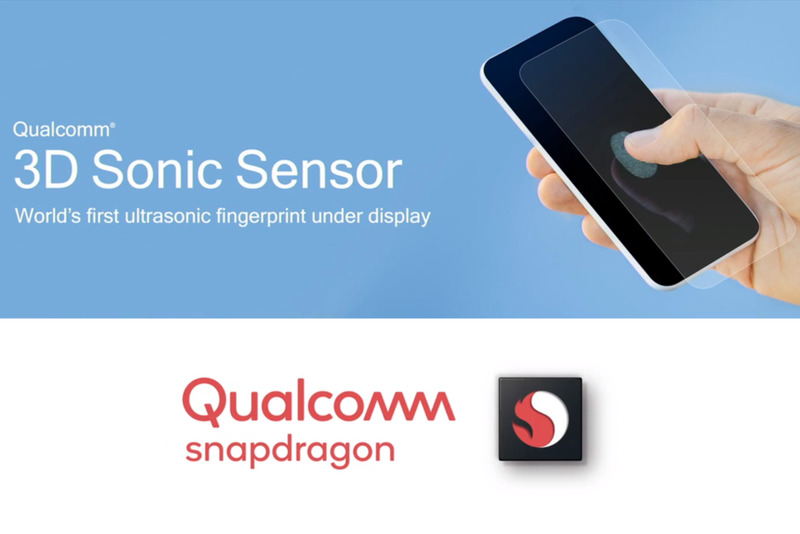 At the Snapdragon Tech Summit event, Qualcomm revealed not only its latest high-end mobile platform but also announced its ultrasonic fingerprint reader is ready to be implemented on flagship devices of 2019. Qualcomm is calling the tech as “3D Sonic Sensor” and it’s also the world’s first ultrasonic under-display fingerprint reader. This technology works by sending the ultrasonic waves at your finger and registering the way they bounce off the minuscule ridges of your skin, creating a 3D image of your fingerprint . This 3D fingerprint info extracted from the Ultrasonic waves makes it harder to spoof while at the same time it can pass through water and other liquids that might be on your fingers when you’re trying to unlock your phone. This means that new fingerprint scanner tech would provide accurate readings in less-than-ideal conditions. Currently it is expected that this tech would debut in Samsung Galaxy S10 , so it seems we have to wait a few months more to have a hands on experience.